The inner ear is the amazing system in our bodies that controls balance. 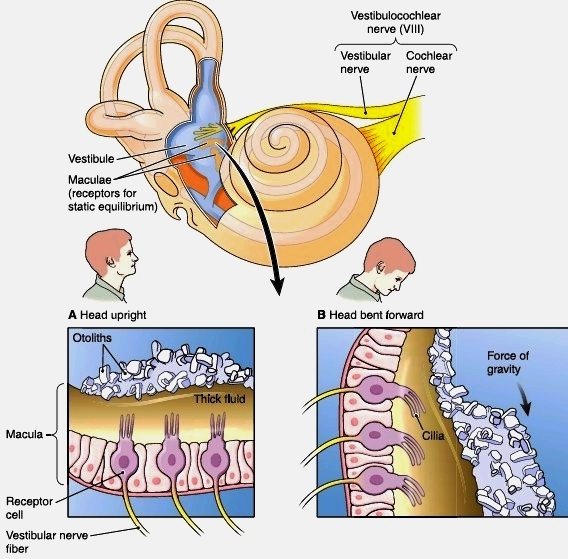 Within this inner ear system, there is a small portion called the vestibule. The vestibule consists of gravity, linear, and angular-sensing organs. These gravity-sensing organs use crystals of calcium carbonate to determine which way is up and which way is down! When these crystals become dislodged and migrate, this causes dizziness and/or imbalance.